The Piper PA-48 Enforcer may have been called the “Super Mustang,” but it never found its mission. 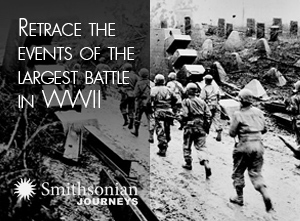 As an Army artillery officer in World War II, David Lindsay had loved watching P-51 Mustangs fly over his head. When he founded an aviation company in 1956, he bought the design rights to the iconic fighter, and began building updated variants for export through the Military Assistance Program as well as various civilian versions. 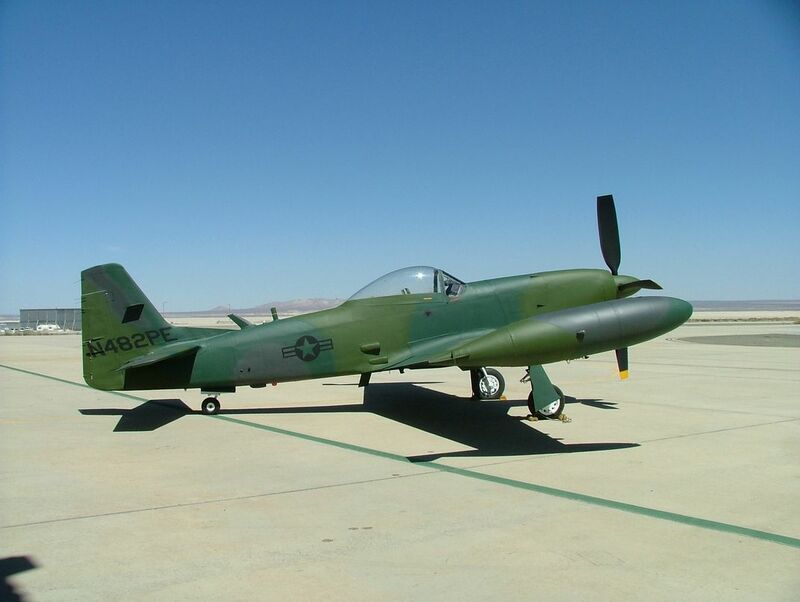 A decade later, when the United States went shopping for a cheap but effective close air support (CAS) aircraft for its allies in Southeast Asia, South America, and elsewhere, Lindsay believed that his company, Cavalier, had just the thing: a turboprop version of the P-51, called the Turbo Mustang III. But recognizing his company had neither the manufacturing capacity nor the political savvy to compete for a U.S. Air Force contract, Lindsay sold the Turbo Mustang III to Piper Aircraft in 1970, joining Piper’s payroll as an advisor to stay close to the project. I saw the result of Cavalier and Piper’s collaboration during a visit to Edwards Air Force Base in California three years ago. Its tires were flat and its paint faded from 25 years’ exposure to the sun. Branded the Enforcer, it looked predatory, like a raptor—a far cry from the cute little Piper Cubs in which generations of pilots have learned to fly. Piper’s first move when designing its light attack airplane was to fit a Lycoming T55-L-9 turboprop—a modified Chinook helicopter engine—to a reworked P-51D. 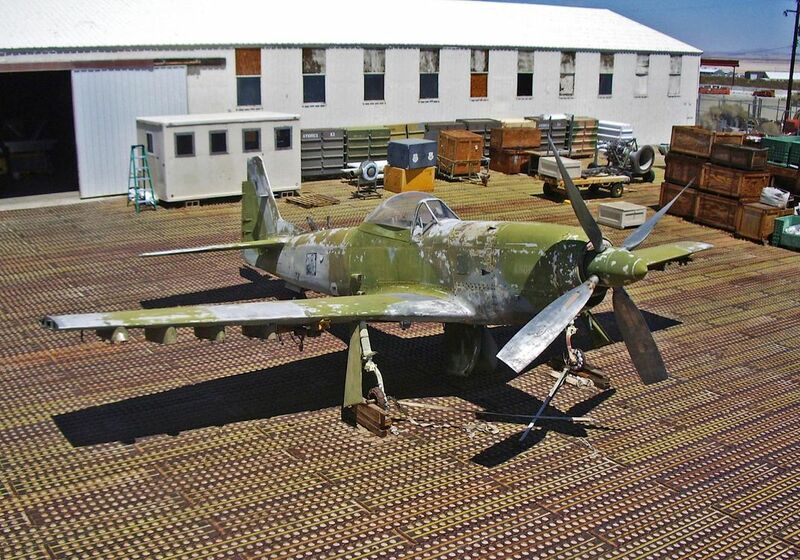 Evaluated during 1971 tests as a potential replacement for the aging A-1 Skyraider, the prototype failed to persuade the Air Force to place an order. 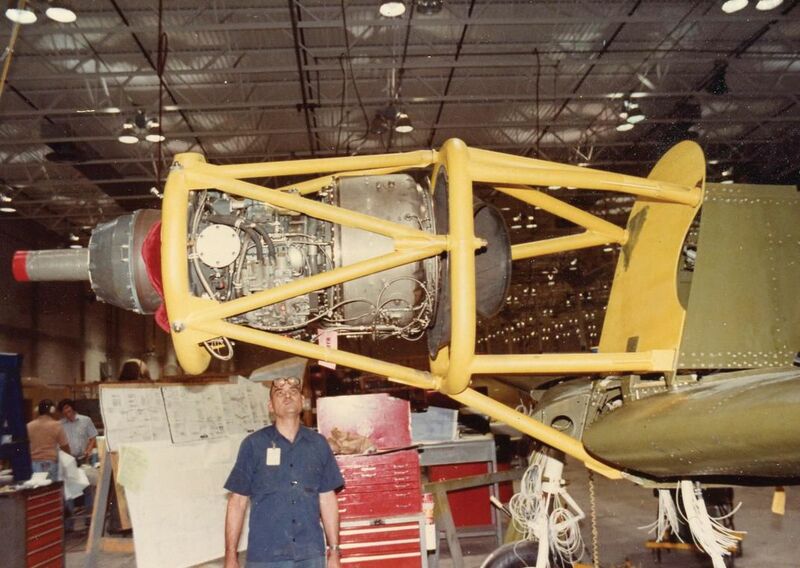 Piper persisted, and in 1981 the Air Force relented and awarded Piper an $11.8 million contract for Piper to design, build, and test two new Enforcer prototypes. Now pitched as a low-cost substitute for the Skyraider’s successor, the new aircraft would need to match the tank-busting firepower of the A-10 Warthog to be competitive. A lighter, pod-mounted version of the A-10’s 30mm Gatling gun was selected. Although still powered by Lycoming T55 engines, the prototype, which was assigned the company designation PA-48, was an almost-all-new airplane, boasting beefed-up wings, a longer fuselage and an increased tail area to accommodate the recoil of the two cannon it could carry. An ejection seat and air conditioning system from a Piper Cheyenne were installed. The P-51’s cockpit gear handle and tail wheel assembly remained, but the distinctive belly air scoop was gone, as were the internal wing guns. Sporting camouflage paint, wingtip fuel tanks and 10 under-wing hard points for bombs, rockets or gun pods, the PA-48 was a formidable machine and looked it. 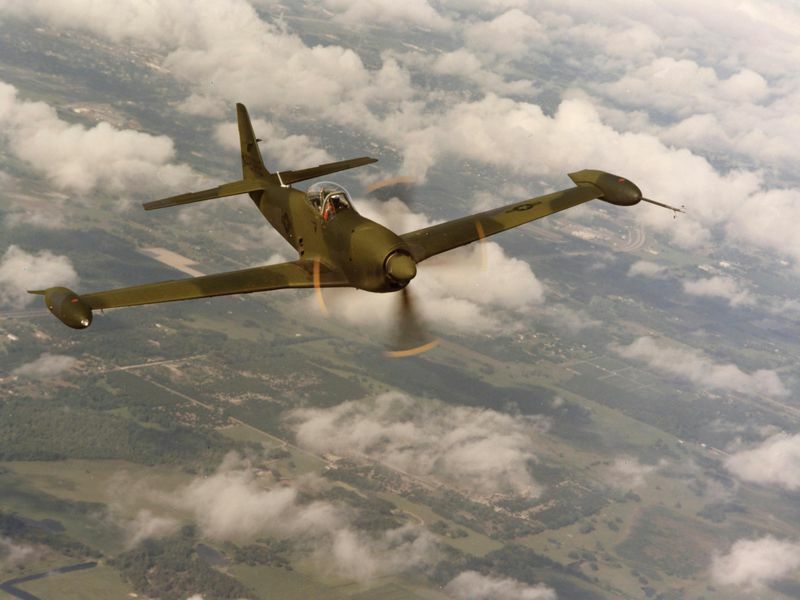 Though its speed was limited by a cut-down Aeroproducts propeller adapted from a Skyraider as a cost-saving measure, its 2,445-horsepower engine provided plenty of power. While not as fast as a P-51D, it boasted better climb performance and with superior load-carrying capability. Chief test pilot David Lawrence was behind the stick for the PA-48’s first flight on April 9, 1983. He recalls that the four-bladed prop was only about 60 percent efficient, due to the reduction in its diameter and the squared-off, open-tip design. Planned follow-up production models would use more efficient five-bladed Dowty Rotol composite propellers and low-drag wing pylons, which were expected to improve the aircraft’s speed. The PA-48 performed admirably in its 1983-4 evaluations, but Lawrence believes that Air Force brass never wanted a prop close air support aircraft. “They just wanted the program over with,” he says. The aircraft never received Air Force serial numbers. 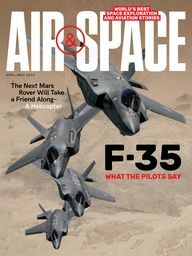 Jeff Duford, a curator at the National Museum of the U.S. Air Force—who notes that his comments do not necessarily reflect the official Air Force position—says that by the 1980s, the Air Force simply didn’t need the PA-48. By the time of the airplane’s evaluations, the service was already well-stocked with A-10s, which could do everything an Enforcer could do and a lot that it couldn’t: The Warthog’s 16,000-pound maximum ordnance load was nearly three times that of the PA-48. It could refuel in flight, and could withstand more enemy fire. It was also thought to have greater development potential, and indeed, A-10s remain in service today, 30 years later. Today, Enforcer N481PE is displayed at the National Museum of the U.S. Air Force at Wright-Patterson Air Force Base in Ohio. Enforcer N482PE, meanwhile, emerged earlier this year from a rehabilitation by volunteers at the Air Force Flight Test Museum’s restoration hangar at Edwards Air Force Base. It’s a relic, but it looks younger and hungrier than it has in decades, as if impatiently awaiting orders that will never come.